Halloween is now the fourth most celebrated holiday in America, having eclipsed Mothers’ Day, Easter, Memorial Day and even New Year’s Day. It follows only Christmas, Independence Day, and Thanksgiving. It is sad those other holidays have fallen back, but tragic that Halloween — in its pagan form — has so surged. Other holidays celebrate life. Halloween celebrates death. Our local newspaper’s front page ran so-called trivia about Halloween last week. According to The Associated Press, the day evolved from a Celtic festival called Samhain — true — and found Celtic people after harvest season gathering in their homes to tell stories and wait for spring — AP hogwash. Ancient Celts worshipped bloodthirsty Druid gods; these deities demanded human sacrifice in exchange for power and prosperity. Although the article claims jack-o’-lanterns were first made from turnips and beets, in fact they were wooden cages suspended from trees. Prisoners were set afire and so sacrificed. The piece claims “witch” comes from an old English word meaning wise woman; it adds they were once highly esteemed. The word does derive from “wise,” as does “wizard,” but those wearing the name were not esteemed. They were feared and placated — because of their reputed powers — but they were never loved. 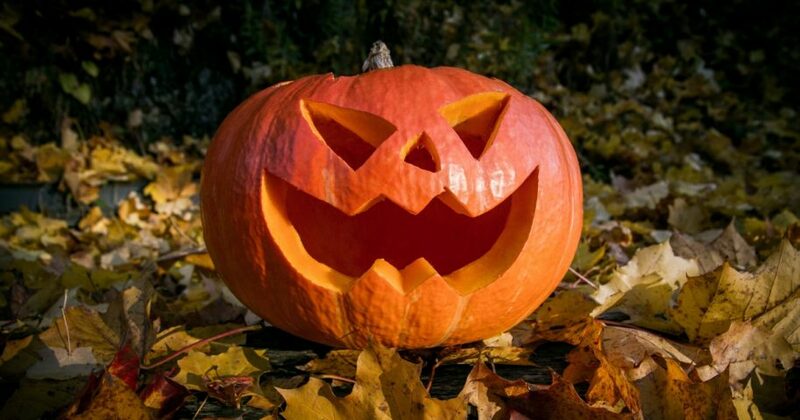 It also claims trick-or-treating originates with early Christians begging door-to-door for cakes in exchange for prayers over the dead, but the custom is actually rooted in people demanding material favors in exchange for not playing dirty and dangerous tricks. Finally, the AP wants us to believe modern Druids and Wiccans observe the day as a special time for worship and divination. They do observe the day, but it is a time for animal sacrifices, orgies and the attempted casting of malicious spells — think of the thousands of self-proclaimed witches who pray daily for the destruction of President Donald Trump on steroids. The Washington Times just broke a story of allegedly peaceful covens gathering for a rally on October 20 for the purpose of placing a hex — curse — on Supreme Court Justice Brett Kavanaugh and others. Attendees were exhorted to “bring your rage and all the axes you’ve got to grind,” as the event will be “embracing witchcraft’s true roots as the magic of the poor, the downtrodden and disenfranchised and its history as often … the only means of exacting justice” on men like Kavanaugh and POTUS. In case anybody doubts a connection between Druidic human sacrifice, contemporary witchcraft and the abortion industry, organizers have pledged a quarter of the night’s revenue to Planned Parenthood. Pagan Halloween is nothing but a variant of the Old Testament Baal worship practiced by Ahab and Jezebel, now reincarnated in political leaders like Hillary Clinton and Barack Obama who make a religious crusade — their words, not mine — of the right to sacrifice by aborting babies. Fourth century Christians — appalled by the carnage in Druid- and Baalist-influenced lands — co-opted the pagan holy day. They made it a celebration of all who embraced the sacrificial death of Jesus Christ — a voluntary sacrifice — and called it All Saints Day. Halloween was the evening before, known as All Hallows Eve. As Christians have grown increasingly lax about our call to constant worship of the God who came in flesh, the pagans have simply reclaimed what was once their own. Most Americans celebrate Halloween in a less grotesque way. Children still knock on neighbors’ doors asking candy treats while adult events become more and more orgiastic in tone. Most of us don’t kill anyone, but we certainly find an excuse in Halloween to justify raw lust. French maids, witches and vampiras in lingerie — what that has to do with kids and candy is beyond me, but I do get the metaphysical tie-in to Baalist sacred prostitution — if that is what floats your boat. There are those who get it launching a renewed effort to make it about all saints as opposed to all spooks. Some give fruit and Bible verses to young trick-or-treaters; more and more churches host wholesome harvest evenings where children play games and dress as saints rather than shriekers. But there are three things the people who get it don’t yet seem to get. First, we need to repent — re-focus our attention — on the God who established our nation. If we were giving Him the 24-7 glory that is His due the land itself would be too full of His presence to welcome Baals or Druids. Second, we need to repent through practicing our unlimited authority to forgive. Whether orgiastic celebrations, the vicious assaults on pro-life people praying in Toronto and motorists in Portland, Oregon, or the equally vicious trials-by-gossip of public figures, it all comes down to sin. What we forget is that forgiven sin is stripped of its power while Jesus calls those sins we fail to forgive millstones around our own necks. Third, we need to repent through re-focus of our calling to proclaim the good news in word and behavior. Many Christians remain silent while evil flourishes. Many more are thrilled to condemn what seems worse behavior than their own. But all we have ever been empowered to do is share abundant life in Christ and bless those with whom we share it. We need to get on with the only project that really matters: Converting the culture of death into a culture of life. The lines are starkly drawn between the acolytes of magic and miracle. Let us remember that magic is — in any form — a human effort to intervene in the life of God so He does what we want. Miracle appears when we so submit to God that He intervenes in our lives, doing what He wants. The latter is a lot better.